If you are anything like me then you have a busy life and you're always on the go. I get so stressed out when it comes to meal time because I feel like it interrupts my schedule and is too time consuming. And the worst is when I'm out running errands or I'm super swamped at work and I can't eat a meal that requires hot or cold or sitting down and using a plate. It's just easier to skip a meal at that point. This is usually the case with breakfast and lunch and even snacks. 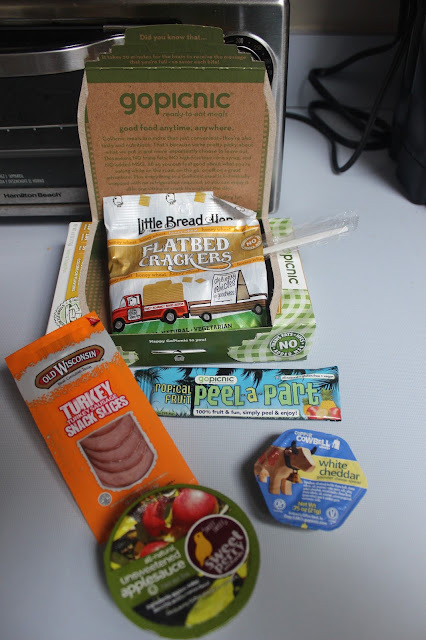 So when I learned about a littlething called GoPicnic, I was thrilled! GoPicnic was started in 2006 and uses the innovating concept of refueling on-the-go with yummy offerings so you can prevent yourself from getting grumpy and hungry. Have you ever shopped on an empty stomach? You made some bad decisions didn't you? Exactly! 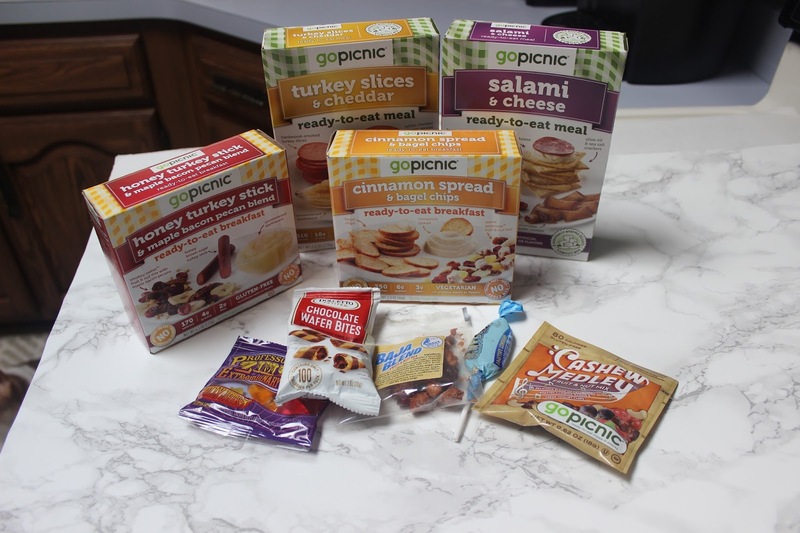 GoPicnic includes a balance of grains, proteins, fiber, and calories. Everything is ready-to-eat with breakfast under 400 calories, lunch under 500, and snacks under 300. There are meals and snacks that are available for different food diet restrictions like gluten-free, vegetarian, vegan, kosher, and non-GMO. All of their meals contain no artificial colors, flavors, trans fats, MSG, or high-fructose corn syrup. You can get GoPicnic products at more than 15,000 different locations including Target, Wal Foods, K-Mart, Giant Eagle, and more! What's even better is that they have an AWESOME Holiday Gift Pack that would be an amazing gift idea for the people in your life that NEED to eat but don't always have time. At least this way they can get a nutritious meal or snack. I got to try out the Holiday Gift Pack and it was amazing. The breakfasts and lunches are delicious, nutritious, and satisfying. I seriously loved eating them while I was on the go and even while I worked at my desk. They were very filling and it actually made me enjoy taking the time to get a break and eat! One lucky winner will get some GoPicnic goodies of their own!